Concrete rubble litters streets lined with shuttered shops and dark windows. A collapsed roof juts from the ground. A ship sits stranded on a stretch of dirt flattened when the tsunami roared across the coastline. There isn’t a person in sight. 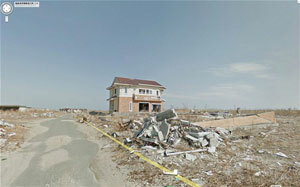 Google Street View is giving the world a rare glimpse into one of Japan’s eerie ghost towns, created by the March 2011 earthquake, tsunami and resulting nuclear disaster that has left the area uninhabitable. Now it is taking people inside Japan’s nuclear no-go zone, to the city of Namie, whose 21,000 residents have been unable to return to live since they fled the radiation spewing from the Fukushima Daiichi nuclear power plant two years ago. 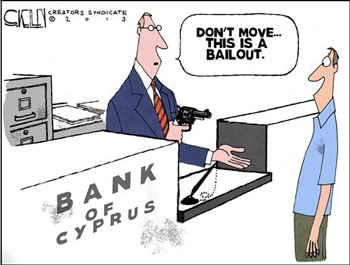 Branches and subsidiaries of Cypriot banks in London and Russia remained open while banks in Cyprus were closed, allowing Russian oligarchs [an oligarch is a very rich businessman with a great deal of political influence] and other wealthy depositors to move their money. Broadcast live on almost every major television channel, Mr. Xi called for a “great renaissance of the Chinese nation,” returning China to its former position at the center of the world. 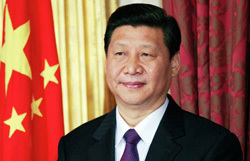 Again and again he invoked the “Chinese Dream,” a call to arms that he hopes will bring the country’s increasingly fragmented society together. Unlike the American Dream, however, which exalts the opportunity for each individual to achieve success through hard work, the Chinese Dream as told by Mr Xi owes much to collectivism. b) The use of Google Street View to give former residents video access to their old cities is a positive technological advancement. Is there any place you might not want Google cameras to be filming? b) From the “Background” below the questions: “Since the theft has been characterized by the media as merely targeting rich Russian oligarchs and other wealthy investors, the uproar has diminished.” Why do you think the media has portrayed the confiscation of private funds by the Cypriot government as mainly targeting the rich? b) Collectivism is defined as: a political or economic system in which the government owns businesses, land, etc. How does the American Dream differ from the “Chinese Dream”? Namie Mayor Tamotsu Baba said memories came flooding back as he looked at the images shot by Google earlier this month. He spotted an area where an autumn festival used to be held and another of an elementary school that was once packed with schoolchildren. News that the Cypriot President’s family moved $27 million to London days before the bank accounts of his people were looted as part of the bailout deal serves as another reminder that while the media portrays the victims of the Cyprus “haircut” as the mega rich and wealthy Russian oligarchs, the real victims are middle class families and small business owners. When asked about the amount of money that had exited Cyprus before the bailout deal, German Finance Minister Wolfgang Schaeuble refused to provide figures. “Perhaps because if he did, it would become clear that the only entities truly punished by this weekend’s actions are not evil Russian billionaires, but small and medium domestic companies, and other moderately wealthy individuals, hardly any of them from the former “Evil Empire,” remarks Zero Hedge. In other words, the very engine of the Cypriot economy, the businesses and the employers, will be the victims of the EU/IMF plundering. Middle class families are also amongst the worst affected. London’s Daily Telegraph recently reported on a family who sold their [vacation home] in Cyprus for $250,000 right before the “haircut” was announced only to see the desperately needed cash disappear. As we highlighted last week, a screenshot from an online bank account belonging to a medium-sized IT business in Cyprus shows over 720,000 euros [over $900,000] in “blocked funds.” According to the owner, 80 percent of that will be swiped and what’s left will take 6 to 7 years to get back. Recognizing the spiritual vacuum at the heart of China’s economic miracle, President Xi seems keen to fill it with a sense that the country could recreate its glorious history. As China’s middle class expands, and the public’s aspirations grow, it is a narrative that Mr. Xi hopes will continue to gel its 1.3 billion citizens together. “The ’Chinese Dream’ is well on its way to becoming a popular political term for the coming decade,” wrote Wang Yiwei in the Global Times newspaper. “It goes beyond economic development, to focus on what path China will choose after it becomes developed,” he added. After Mr. Xi spoke, Li Keqiang, the new Chinese prime minister, took staged questions from the media for over an hour-and-a-half, spelling out some concrete proposals for combatting bureaucracy and government waste.